Finding the right gift for Mother’s Day can feel daunting. After all, what do you give the woman who taught you everything—from how to tie your shoes and brush your teeth to the right way to make an omelet or write a resume? No matter your age, there’s always something to thank mom for. And in our opinion, the best way to say it is with cake. Sweet, heartfelt, and with a hint of nostalgia, we guarantee there’s nothing that will make her happier—especially when she gets to share it with you. With that in mind, we’ve whipped up three celebratory cakes fit for various age groups, skill levels, and crowds. This year, your mom will certainly have her cake—and eat it, too. The perfect cake to make with small children or to serve to a crowd, this lemon cake with crème fraîche frosting is fresh, easy-to-make, and an all-around crowd-pleaser. 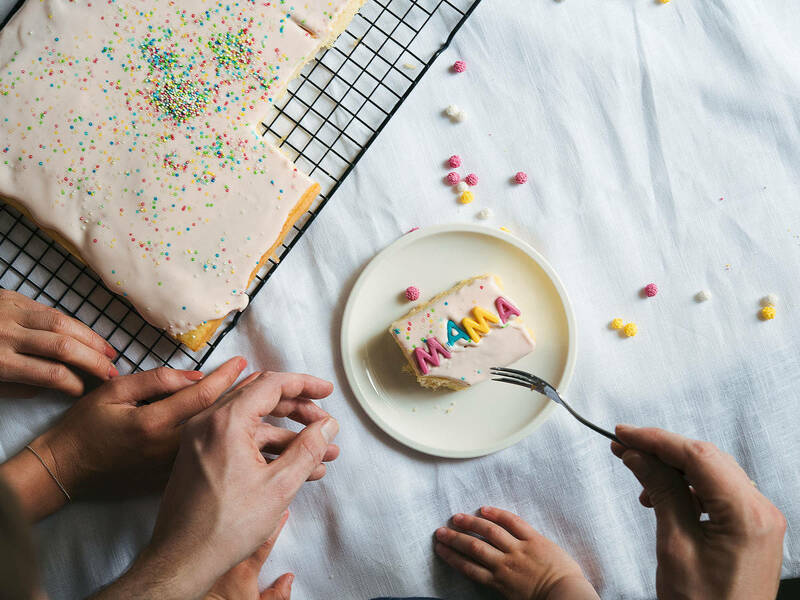 For a special touch, tint the frosting mom’s favorite color—and be sure to have the kids decorate with plenty of festive sprinkles! If your mom loves nothing more than to settle in for late afternoon coffee and cake—this Poppy Seed Marble Cake’s for you! With a poppy seed-swirl and a hint of zesty orange, this recipe is easy enough for young adults to make and sophisticated enough for mom to enjoy. Serve it with a pot of her favorite tea or a frothy cappuccino, and she’ll be over the moon. The ultimate showstopper—this dense, chocolatey cake has the wow-factor you’re looking for to impress mom. And just like any well-planned gift, it takes some time to come together, but the result is undeniably worth it. Give one of these recipes a try for Mother's Day this year and spoil your mom, aunt, friend, or other special person in your life. Then, let us know how it went! We'd love to see your pictures and comments.